It's Winter! What Maintenance Should I Get Done? You Are Here: Home > It’s Winter! What Maintenance Should I Get Done? Winter is here, and we hope that you’ve already started the process of winterizing your car. There are several repairs you’re going to want to particularly focus on, or else you may be putting your vehicle at risk. Before you start the process of winterizing your vehicle, you’ll want to refer to the car’s manual. The book will provide the owner with some crucial information regarding oil changes and repairs, and it will also help guide you as to when you should get your ride serviced. These specific timelines or mileage measurements should not be ignored, and you shouldn’t necessarily contradict the suggestions to accommodate your vehicle for the winter. 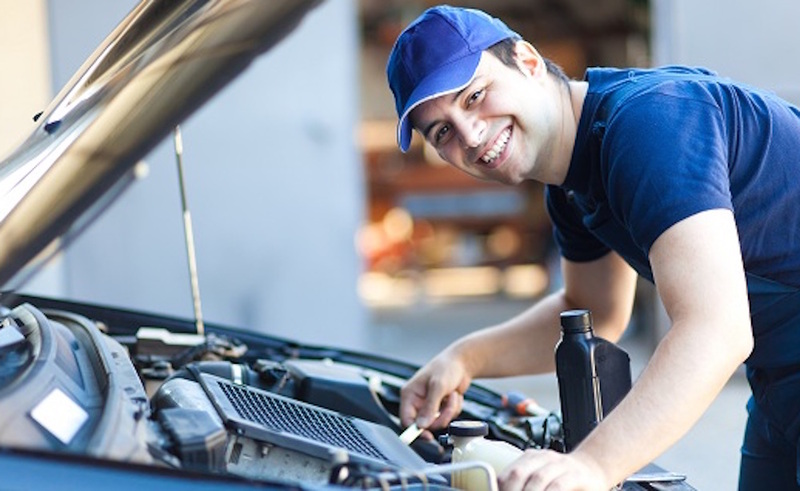 Professional technicians know how to service your vehicle, and if you visit a dealership, the mechanics will be experts on repairing your specific brand. You’ll want to visit these businesses if you notice an issue popping up in your car. This is rather obvious for some repairs, as aspects of your car’s mechanics will likely prove to be too complicated to fix yourself. However, even simple tasks that you could realistically perform should instead be left to the professional. This is especially important during the winter, as the cold weather will accentuate these issues while also potentially making the particular problem even worse. ASE.com says to particularly focus on how your vehicle operates, as issues like “hard starts, rough idling, stalling, [and] diminished power” could be made much worse when sitting out in the cold. You don’t want your engine or any of your vehicle’s mechanics to struggle during the winter months. The unit is more susceptible to damage, and you could be compromising the system’s performance by not replacing or checking potential faulty parts. 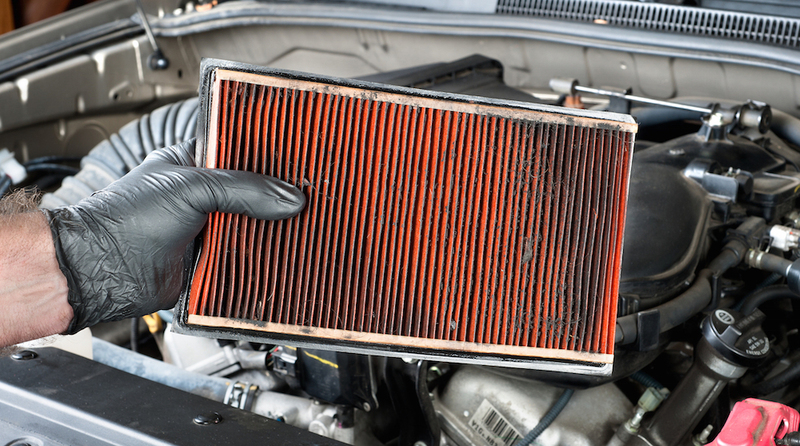 Dirty or clogged air, fuel, and PCV filters should be monitored. Engines need air to flow in order to work properly, and a clogged filter or valve could lead to the system overheating. By replacing these parts, you’ll be assured that air is getting directly to your engine. A simple check will indicate whether a replacement part should be pursued. To further ensure that your vehicle won’t freeze (or overheat), you can add some fuel deicer to your gas tank. If you insert this fluid to your system monthly, you’ll be preventing the likelihood that any moisture in the fuel line will freeze. Of course, you can also prevent any freezing by keeping your gas tank full. Another essential part that should be checked is your exhaust pipe. When the system is leaked or clogged, deadly exhaust fumes can get into your cabin. It’s a risk to ignore the pipe, so assure that the entire unit is operating properly. 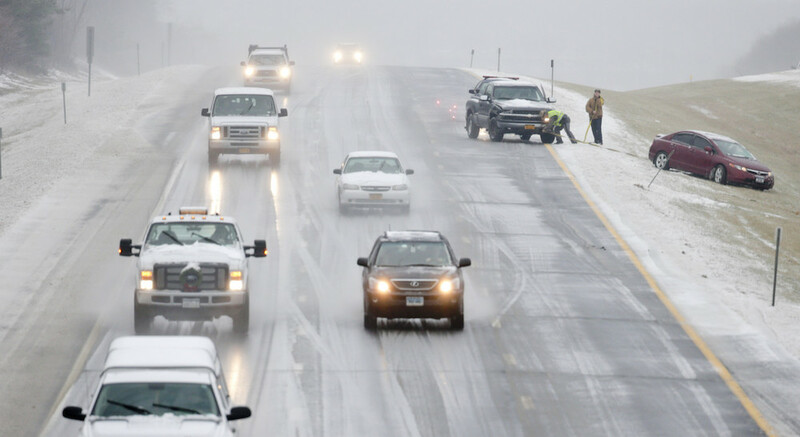 Predictably, you’ll also want to make sure that your heater and defroster are working. There’s nothing worse than driving in the winter with no heat. You won’t only be sacrificing your comfort be tolerating the cold, but you’ll also be sacrificing several of your engine’s performance specs. Plus, a working defroster will help clear your windows, and you’ll be making yourself a road hazard by not properly clearing your vehicle of ice and snow. Windshield wiper blades are another part of your vehicle that should be checked (and perhaps subsequently replaced). A weak system won’t be capable of removing ice or condensation from your windshield, so you’ll want new wipers to help you get through the winter months. Staying stocked up on your washer fluid is also essential, as we all know it’s difficult to drive and see when salt has built up on your windshield. Of course, you’re also going to want to have a scraper handy at all time. Lights and bulbs are also important, as the illumination will be compromised a bit if the system hasn’t been checked for a while. Finally, make sure your tires (and the accompanying brakes) have been replaced. Tires with low tread could leave you slipping and sliding all over the road, and you could prevent an accident by equipping your car with winter tires. Furthermore, the braking system in cars is known for freezing, so make sure the fluids are filled. You engine’s oil and oil filter are essential if you want your vehicle to be operating to its full capabilities. As ASE.com points out, oil and filter changes are generally one of the most neglected car services, and they’re of utmost importance during the winter. It’s best to get this checked at the beginning of the winter, and a mechanic will advise you as to when the best time is to get that oil change. 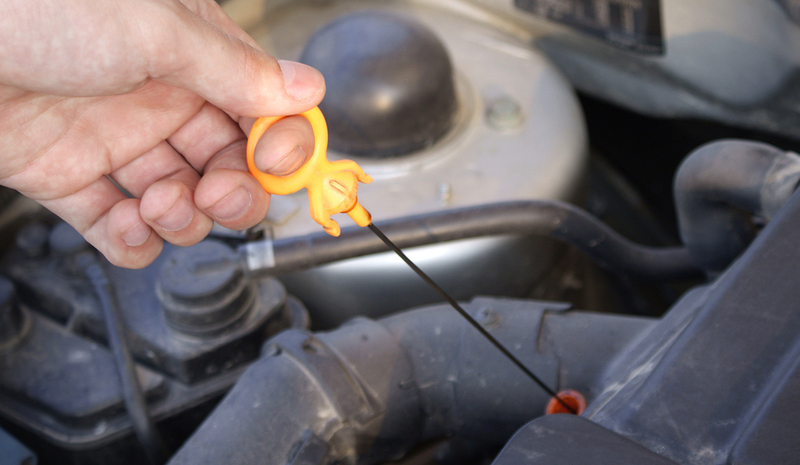 Flushing and refilling your cooling system is also rather important. You’ll want to be making sure that the “level, condition, and concentration” of the coolant are up to par, and you’ll simply have to add a mixture of antifreeze and water if things seem low. You’re going to have difficulties driving your vehicle if the battery is working properly. 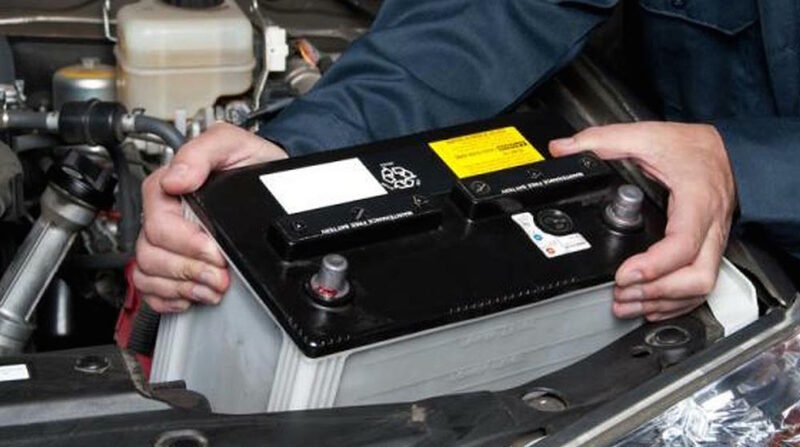 However, it’s difficult for a standard driver to recognize when a battery needs to be serviced, repaired, or replaced. If you suspect that your car may be struggling to drive during the winter, consider getting the battery diagnosed by a professional. To prevent any battery damage, you can take some preemptive steps to assure that the battery will last throughout the winter months. This means removing any corrosion that’s built up, cleaning surfaces of any sludge, and retightening all of the wires and connections. The battery’s fluid should also be monitored. If you take anything from this lesson, it’s that you should allow the professionals to winterize your vehicle. Sure, you may be capable of accomplishing several of these tasks, but the risk does not outweigh the reward. Otherwise, follow these steps, and your vehicle should be fully equipped and ready to go for the winter months.